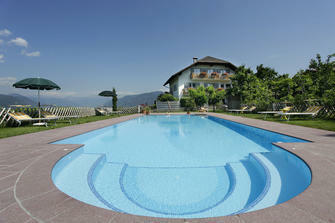 Fruit and wine farm with comfortable holiday flats in a quiet, sunny spot near Montiggl and Kaltern lakes. Ideal for hikes adn excursions into the nearby mountains. Valtlhof in Girlan (Eppan a. d. Weinstraße) lies at 476 metres above sea level.